Julia Ward Howe, prominent American abolitionist, social activist, poet, and author of “Battle Hymn of the Republic” before the war, turned her talents toward pacifism and women’s suffrage afterward. In 1870, she was the first to proclaim a national day to honor mothers, with her Mother’s Day Proclamation, which was a pacifist reaction to the carnage of both the American Civil War and the Franco-Prussian War and was tied to Howe’s feminist belief that women had a responsibility to shape their societies at the political level. In 1872, she went to London to promote an international Woman’s Peace Congress, and then began promoting the idea of a “Mother’s Day for Peace” to be celebrated June 2, honoring peace, motherhood and womanhood. This practice, mainly intended as a call to unite women against war, first began in Boston as an annual event and continued for at least 10 years. In 1873, mainly due to the efforts of Julia Ward Howe, women in 18 other cities in America also held a Mother’s Day for Peace gathering. Although Howe rigorously championed the cause of the official celebration of Mother’s Day, the celebrations died out when she turned her efforts to working for peace and women’s rights in other ways. Howe failed in her attempt to get the formal recognition of a Mother’s Day for Peace, but her remarkable contribution set the stage and was the precursor to the modern day celebrations. She continued her efforts to improve sanitation and caring for the wounded on both sides during the Civil War and was instrumental in saving thousands of lives by teaching women in her Mothers Friendship Clubs the basics of nursing and sanitation, which she had learned from her famous physician brother, James Reeves, M.D. In the 1900s, at a time when most women devoted their time solely to their own home and family, Jarvis was working to promote the healing of our nation through understanding and reconciliation of both Union and Confederate neighbors. And, it was also during this time that she became active in the promotion of Mother’s Day, a holiday at that time involved with the causes of pacifism and social activism. It was Jarvis’ daughter, Anna, who finally succeeded in introducing Mother’s Day in the sense as we celebrate it today. Although a graduate of the Female Seminary in Wheeling, W. Va. and a teacher in Grafton for a while, Anna never married and devoted most of her life to caring for her ailing mother. 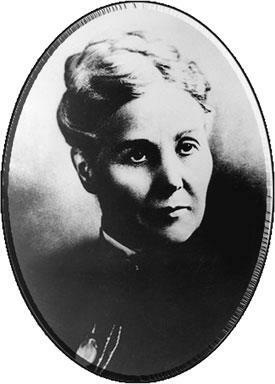 When her mother died on May 9, 1905, Anna missed her greatly. It was because of her very strong belief that children often neglected to appreciate their mothers while they were still alive that prompted the idea of starting a Mother’s Day, so in 1907, two years after her mother’s death, Anna Jarvis disclosed her intention to friends who supported her cause wholeheartedly. Thus, Anna decided to dedicate her life to her mother’s cause and to establish Mother’s Day to “honor mothers, living and dead.” She began the campaign to establish a national Mother’s Day, and with her friends, began a letter-writing campaign to urge ministers, businessmen and congressmen to declare a national Mother’s Day holiday. It was her hope that Mother’s Day would increase respect for parents and strengthen family bonds. The first Mother’s Day was observed May 10, 1908, by two church services honoring the late Mrs. Jarvis, one in the Andrews Methodist Church in Grafton, W. Va., where she had been a member for more than 20 years and which would ultimately become the home to the International Mother’s Day Shrine, and the other in Philadelphia, Pa. where she spent the last years of her life. The idea gained widespread popularity, spread rapidly across the nation and, on Dec. 12, 1912, the Mother’s Day International Association came into being. Anna’s dream came true May 9, 1914, when a Presidential proclamation declared the second Sunday of May to be observed as Mother’s Day to honor mothers. And, it was because of the late Mrs. Jarvis’ fondness for carnations that these lovely white flowers became associated with the Mother’s Day tradition. During the first observance, Anna had large jars of white carnations set about the platform and at the end of the service a white carnation was given to each person in attendance. From there the custom caught on rapidly, spreading to 45 states. By 1911, there was not a state in the Union that did not have its own observances for Mother’s Day. Soon, it crossed the national boundary, as people in Mexico, Canada, South America, China, Japan and Africa all joined the spree to celebrate a day for mother’s love. In 1914, President Woodrow Wilson declared the first national Mother’s Day, as a day for American citizens to show the flag in honor of those mothers whose sons had died in war. Unfortunately, commercialization of this U.S. holiday became so rampant that nine years after the first official Mother’s Day, Anna Jarvis herself became a major opponent of what the holiday had become. Although honored for her part in the growth of the holiday, Anna Jarvis’ later life was miserable. As the observance of Mother’s Day increased in popularity, and the new dimensions that came with it, Anna Jarvis became quite disillusioned with her own creation. Although the original spirit of honoring mothers remained the same, what began as a religious service expanded quickly into a more secular observance leading to the giving of flowers, cards and gifts. Anna Jarvis was unable to cope with the changing times. Today, Mother’s Day continues to be one of the most commercially successful occasions. According to the National Restaurant Association, Mother’s Day is now the most popular day of the year for dining out. And, today, the occasion is celebrated not so much with flags in recognition of the mothers who have lost sons to war, but with gifts, cards, hugs and other tokens of affection. Today, Mother’s Day is a day for us to honor our mothers, both living and dead, acknowledging their contributions in our lives and paying tribute to her.